Properties in Berne Gate average 4.5 out of 5 stars. 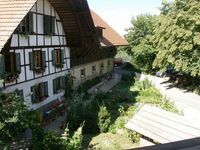 Property 42: Villarzel: Country holiday accommodation at Villarzel ! This was an excellent place to stay for our Christmas holiday. Stayed 25.12.2018 to 2.1.2019. Our day and evening times were spent in Bern with family and touring so we mainly slept and ate breakfast here. The apartment was clean and as advertised. It was comfortably warm with radiator heating so make sure to open windows for ventilation a little each day. Plenty of hot water and good pressure. Kitchen is well equipped. Don&rsquo;t turn refrigerator too cold or things will freeze. The host family is very nice and friendly. 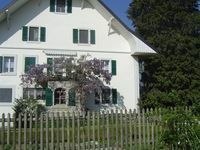 You get to experience Swiss country living on this working farm-cows in the barn, roosters crow, If you are not familiar with navigating rural roads in Switzerland finding it the first time could be tricky. There are more pedestrians than cars. Just trust GPS. Hope to get to stay here again.